Graft growth before shed......good sign of approximate yield? I was wondering if anybody can chime in on this. I know that there is a percentage of yield one can hope to expect when it comes to a transplant which is why I ask. If your transplanted grafts are growing right after your procedure for the first few weeks before the inevitable shed…can you expect that these very same grafts that were growing before the shed to be the approximate hopeful yield? Do any of the Doctors have an opinion on this? » which is why I ask. » Do any of the Doctors have an opinion on this? I don’t know if it matters or not but did you have fue or strip? » I don’t know if it matters or not but did you have fue or strip? FUE. When the scabs completely fell off at about 2 weeks, I kept thinking “wow, Id be satisfied if this ends up being the result”. It kept growing and didnt completely start to shed until about 3.5 weeks. Now the shedding is complete. I was just hoping that the hairs which were growing were the ones that “took”. And if thats the case then Im going to be extremely happy with my yield. So…just to completely make myself clear. If the transplanted hair was growing before the shed…can I expect with good probability that most if not all those same hairs will grow again? » » I don’t know if it matters or not but did you have fue or strip? » not all those same hairs will grow again? This forum needs an easier format:-) anyways…ttt! You should let your doctor know ASAP. This may not necessarily be a good thing. Really? Im going through all the normal standard phases without any complications. Can you explain further why anything Ive said would be considered negative? I would have to say in my opinion that if you saw some growth initially then these grafts probably took… This means they were well nourished enough to begin to grow, then they went into telogen effuvium. A kind of re-booting of the hair just like you would re-boot a computer… shedding if you will. » in my opinion the ones you saw initially growing will probably be ok.
pheewww…thanks for the info! Thats what I was supposing…if they were somewhat growing then they should at least have been well nourished. Maybe it was an optical illusion though as Ive read somewhere else that the recently implanted grafts get pushed out by the scalp and give the illusion of growing after which they shed. I definitely know for a fact that they were longer than when they were implanted before they shed. Though not sure if it was actual growth. No problem! And to add to that… Yes the new hairs do push out the old hairs somewhat. It is very important to scrub well to help facilitate a shed because sometimes the old hairs can actually stop a new hair from coming in. Kind of blocking it. You as the patient can help the shedding along with a good scrub hairwash daily. Im not a Dr. but I did have a very successful HT and I remeber the Dr VERY SPECIFICALLY STATING that I should NEVER TOUCH THE GRAFTS. DO NOT SCRRUB THEM OFF, let them naturally fall out with the daily little pouring of water mixed in with baby shampoo. In my case it took quite a while before they all fell out because the blood dried up pretty good and hard, and it took about 2 or 2 and a half weeks more for them to fall out naturally with the gentle TOUCHLESS WASHES. Be careful … treat them like your babies, and I definetly wouldnt touch them without speaking to your DR first. I remeber calling the Dr.s office twice daily at one point scared and paranoid, and they were always happy to answer. Cheers and we are lookig forward to seeing your results!!! Any pics btw??? 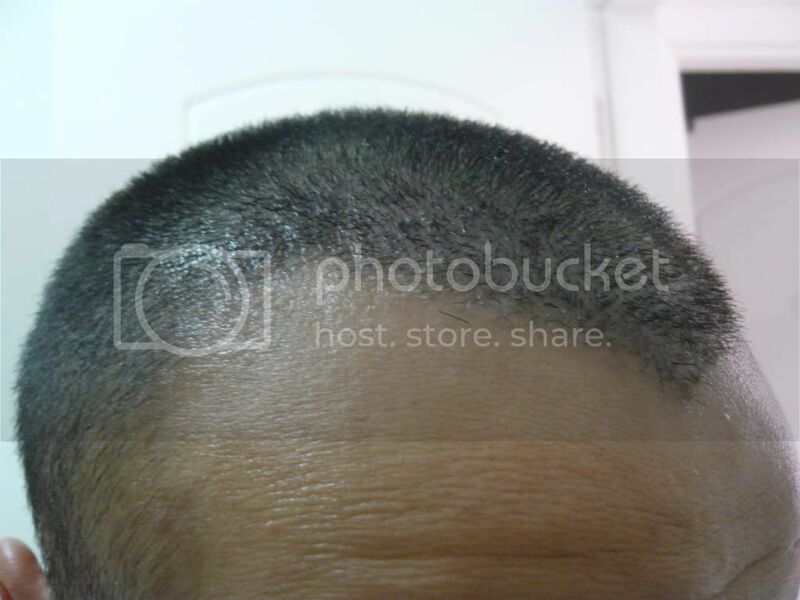 Oops let me clarify my post… The scrubbing is after the grafts have healed. And what I mean by scrubbing is what a person does when they normally wash their hair. The first few days after a transplant there is absolutely a need to not touch the grafted area. Some clinics suggest patting a shampoo on the area grafted and then gently pouring water over the area… And then after a time period… let’s say 7 days then you can lightly massage the grafted area. After two weeks it is ok to scrub or wash your scalp normally. This does not mean scraping or anything. Just a normal scrub. The reason why I said that it is good to scrub the head is because I have seen a few cases where a patient thought that he should keep patting the shampoo on the scalp and was doing so for more than three months. In this case the patient came back to us wondering why his scalp was irritated and red. It turned out that most of his transplanted hairs had not shed and the old hairs were blocking the new ones from coming in. If he would have washed his hair normally then he would have helped the shedding of hairs. » water mixed in with baby shampoo. Its all good…I was told to just lightly wash for 2 weeks which I did. After the 2 weeks the Dr. let me know that I could go ahead and shampoo normally and lightly scrub to get the scabs off. Im 1 week away from 2 months and there are a couple of grafts growing. Id say 1 or 2% growth right now. Cant wait for the 3rd month! Heres a pic of me at 16 days just out of the shower. I was able to wash out most of the scabs by then. Let me know what you think. It really looks nice and clean!